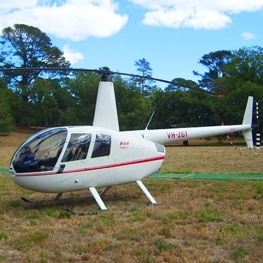 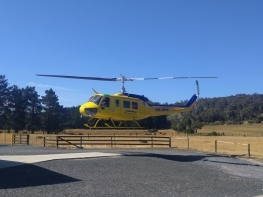 At Tasmanian Helicopters we pride ourselves on using the most up to date equipment, which is all maintained by our own CASA approved maintenance facility. 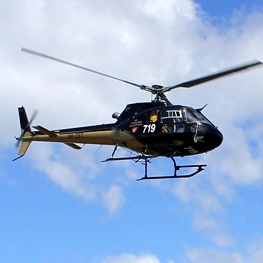 Our fleet currently comprises of 8 aircraft including three Eurocopter AS350 B3 ‘Squirrels’, two Eurocopter AS350 B2 ‘Squirrels’, two Bell 206 Jetrangers and one Robinson R44 Raven 1. 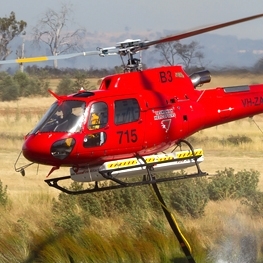 The Huey is primarily utilised for Fire Fighting operations and has the capability of carrying 1,400 litres of water per load. 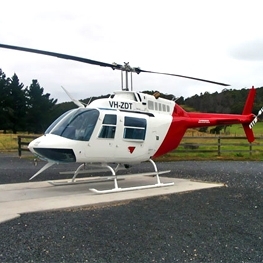 This aircraft is also used for heavy lifting operations for our clients.